Railway stations are places of the heart, where life’s journeys begin and end, where a thousand hellos and goodbyes travel across time. Four strangers take shelter in the fluorescent glare of a railway waiting room. They are waiting for a bus as the trains don’t run any more. 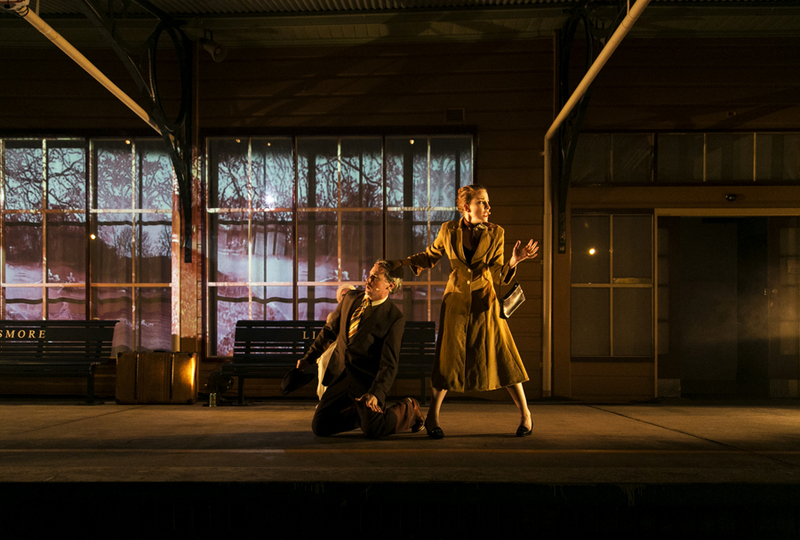 Their reasons for leaving are the stuff of melodramas, love, fame, to just run away, to go home one more time… The distant sound of a train whistle announces the arrival of a mysterious old woman who has come to catch the train. Is she an apparition, an angel, or mad or all three? The bus is delayed and the strangers are swept up into the old woman’s tale of arrival as a young girl in a strange land and her search for belonging in a country town. 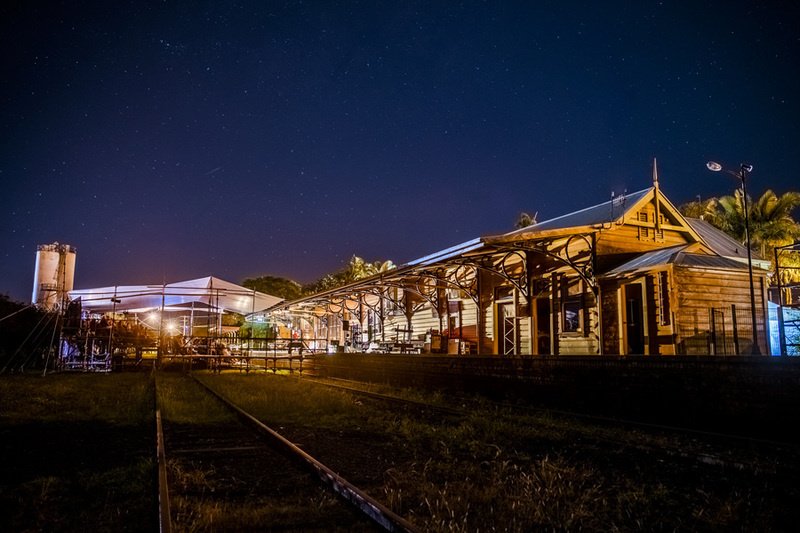 Take your seat under the stars as Railway Wonderland brings a dis-used railway station back to life. 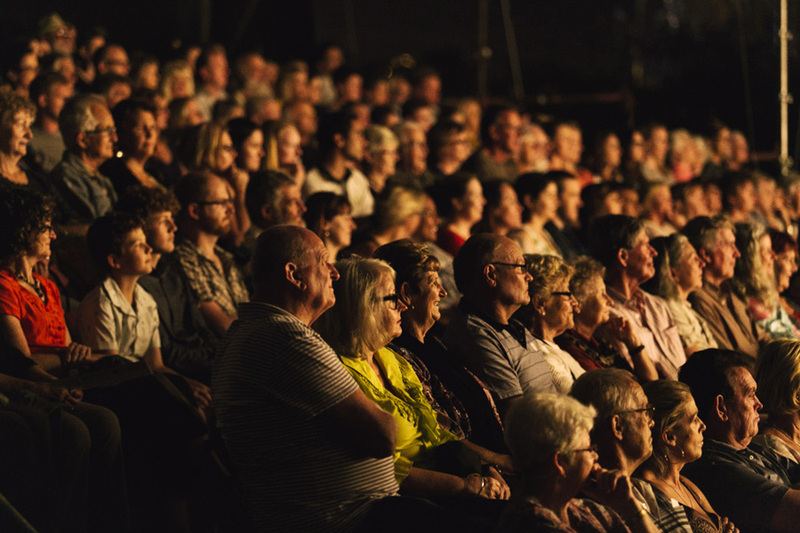 Immerse yourself in a dreamy wonderland of strange encounters, wild stories, comedy, romance and song. 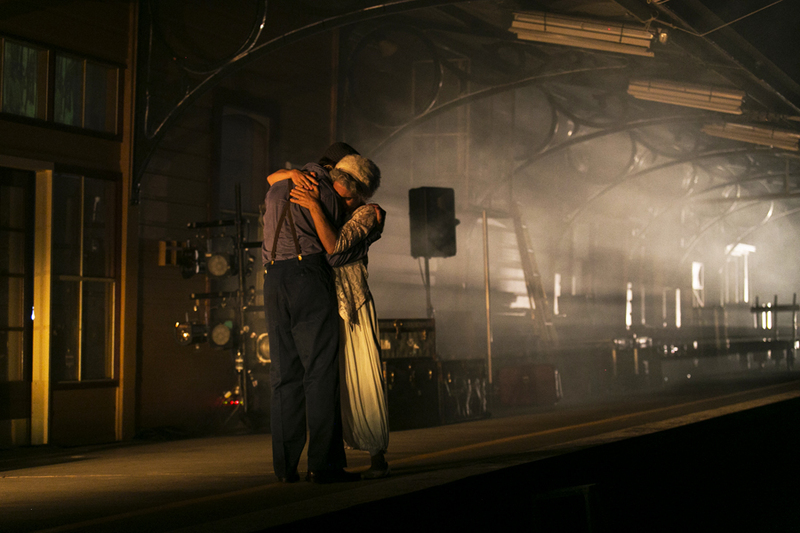 Railway Wonderland was first performed at Lismore’s dis-used train station in 2012 for a season of 6 performances. 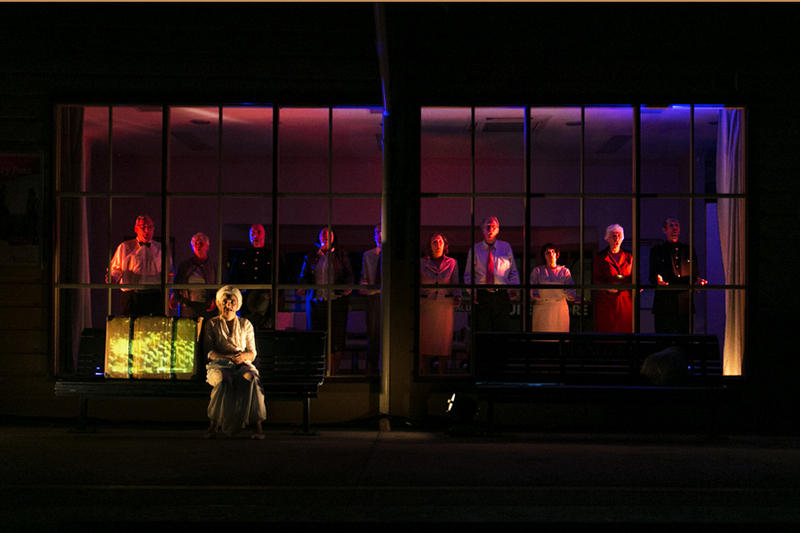 NORPA re-staged it in 2015 for 15 performances. Both seasons sold out. 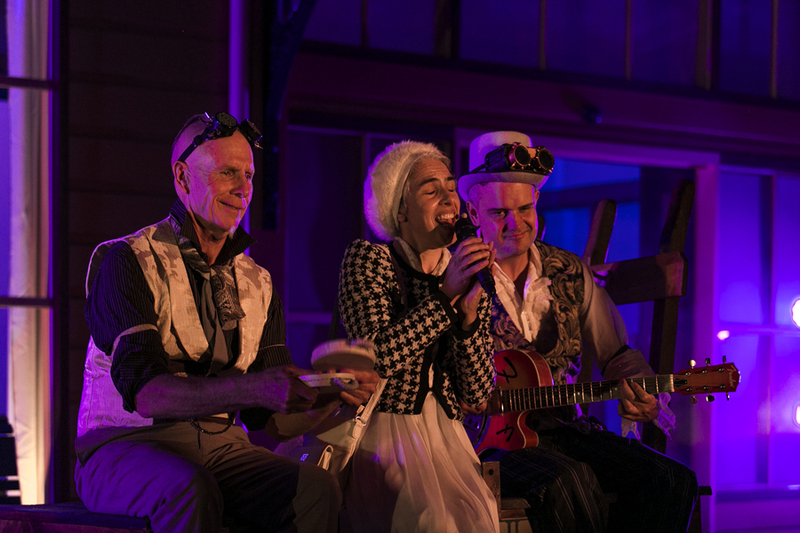 Railway Wonderland has been made with support from Telstra, Linneaus Estate and State of Play. Take a look at the costume design here, and read an interview with costume designer William Kutana. Read stories of Lismore’s train station and see some beautiful early images! Read about the creative development of Railway Wonderland.